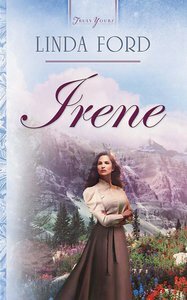 Eager to leave England after the Great War, Irene agrees to a marriage of convenience with a widower in Alberta, Canada. She soon learns, however, that Zachary Marshall wants only a housekeeper and mother for his two small sons. Irene must be content to be a wife in name only. Soon, though, she finds her feelings for Zach deepening. Wanting more from the man than he's prepared to give, Irene tries to convince herself that the children's love - and that Zach's gratitude - is enough. But she's still not satisfied. Can Irene trust God to help her care for Zach without longing for more? Or will Zach someday learn to love her in return? Linda Ford draws on her own experiences living on the Canadian prairie and Rockies to paint wonderful adventures in romance and faith. She lives in Alberta and writes as much as her full-time job of taking care of a paraplegic and four kids, who are still at home, will allow.